Anthony Newman Interview with Bruce Duffie . . . . . . . 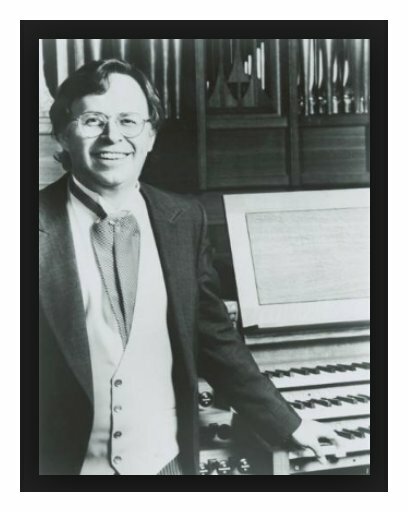 Conductor, composer, and organ virtuoso Anthony Newman was born May 12, 1941, in Los Angeles, later studying in Paris under the tutelage of Nadia Boulanger and Pierre Cochereau. The recipient of a Diplome Superieur from the Ecole Normale de Musique, Newman returned to the U.S. to train under composers Leon Kirchner and Luciano Berio. His subsequent output includes no less than include five concertos, three orchestral sinfonias, and an array of works for piano and organ. A prolific recording artist with a catalog of albums spanning material from the 17th century to the modern era, Newman also taught at Juilliard and headed the graduate music program at Purchase College of the State University of New York. 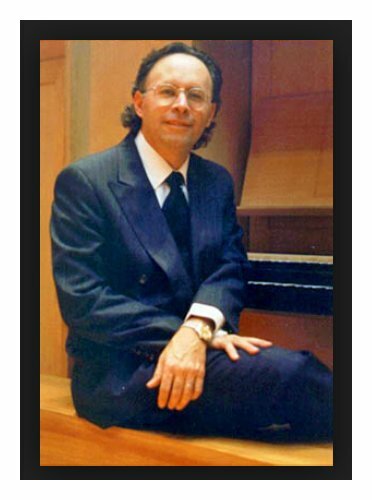 As keyboardist, he has performed more than sixty times at Lincoln Center in New York, and has collaborated with many of the greats of music including Kathleen Battle, Itzhak Perlman, Eugenia Zukerman, John Nelson, Jean-Pierre Rampal, James Levine, Lorin Mazel, Mstislav Rostropovich, Seji Osawa, and Leonard Bernstein. As conductor, he has worked with the greats of chamber music orchestras including St. Paul Chamber, LA Chamber, Budapest Chamber, Scottish Chamber, and the 92nd St. Y Chamber Orchestras. Larger symphonic groups include Seattle (over 40 appearances), Los Angeles, San Diego, Calgary, Denver, and New York Philharmonic Orchestras. No less prodigious a composer, his works have been heard in Paris, Vienna, Budapest, Krakow, Warsaw, New York, and London. His output includes 4 symphonies, 4 concerti, 3 large choral works, 2 operas, Nicole, and Massacre (in collaboration with Charles Flowers), 3 CDs of piano music, and a large assortment of chamber, organ and guitar works. His complete works are published by Ellis Press. 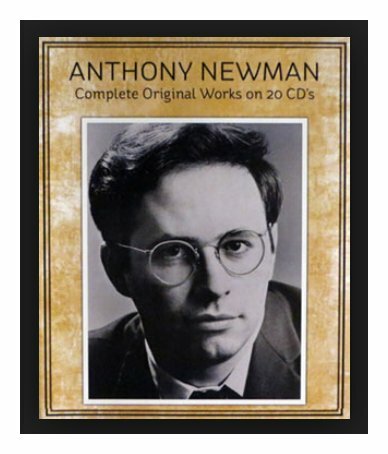 Newman has received 30 consecutive composer's awards from ASCAP. 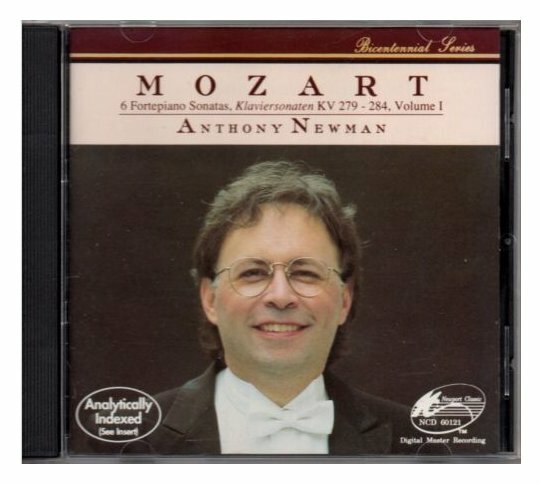 Newman is music director of "Bach Works," New York's all Bach association, and Bedford Chamber Concerts; is on the Visiting Committee for the Department of Musical Instruments at the Metropolitan Museum of Art; and on the board of the Musical Quarterly Magazine. 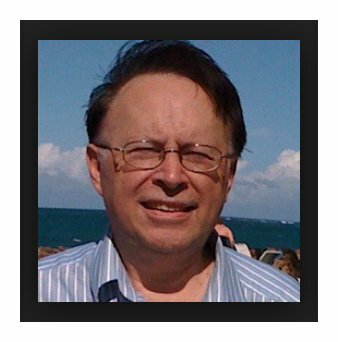 As a person committed to outreach, he was a volunteer for Stamford Hospital, a member of Hospice International from 1995 to 2004. 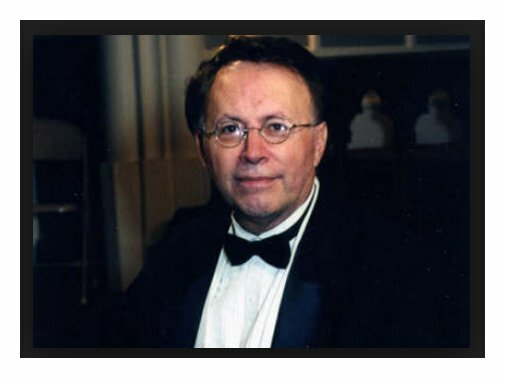 Newman is music director of St. Matthews Episcopal Church in Bedford NY. Newman is a Yamaha Artist, and a proud alumnus of Young Concert Artists. Besides all the places noted above, Anthony Newman appeared in several seasons at the Ravinia Festival, the summer home of the Chicago Symphony Orchestra. In October of 1989, he returned for a post-season presentation in which he played both harpsichord and fortepiano. He agreed to meet with me on the evening before the performance, and even though our appointment was for a very late hour, we had a wonderful conversation about many aspects of his varied career. Here is that chat . 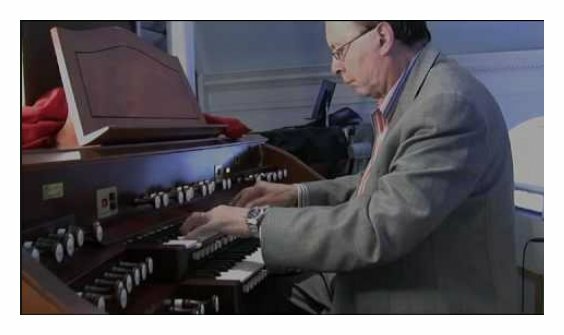 . . . . . . . .
Bruce Duffie: How do you divide your time between playing organ and harpsichord, and composing your own music? Anthony Newman: Playing, of course, is something I’ve done for years and years, and composing has been more recent. So in a certain way the playing, as you might say, was “perfected”, which is the wrong term, but it was brought to a reasonable level earlier. It’s a matter of continuity, with developing new ideas about performance rather than starting from scratch. With composing, that it is a process of trying to discover or create an aesthetic; in other words, a new way of expressing music, considering what we’ve gone through in the last sixty or seventy years of various kinds of experimentation within music. BD: You spend so much of your time, though, playing Bach and Handel and yet composing in the idiom of now going into the 1990s. Does that make you schizophrenic at all to have this large gap there? AN: I’m very influenced by old composers in my composing, so I would say I’m a classical composer within a new kind of a harmonic framework. I’m definitely a tonal, harmonic composer, though, rather than an atonal composer. BD: Old wine in new bottles? AN: Something like that. The music I write has melodies and is tonal, yet not in any traditional way. BD: You purposely make it your idea of tonality then? AN: I feel strongly that the experimentation over the last seventy years of serial composition and atonality has not succeeded, and that people basically have not accepted that as a musical language. Atonality is not a very likely solution for music, and also the idea that the melody part of the piece is unimportant, or whether it’s memorable or not doesn’t matter. This is not a concept I agree with at all. I think that music has to have memorable melodies and some kind of tonality within which it functions. Of course it can be very wide, like Stravinsky’s Rite of Spring is tonal, but it’s a very wide version of tonality. So I use substitutes, basically. In other words, I feel that if one can have similar chords that function in a similar way to old music, that one can write on top of the melodies which, with whatever talent you have, will be either nice or not. So within that framework I use a lot of older techniques, especially Classical Period techniques. BD: Who decides whether it’s nice or not — is it you, is it the public, the critics, history? AN: I listen to a lot of people in their comments about my music. I’m very happy to hear people say things. You have three levels of people that you’re dealing with. You’re dealing with the people that just listen to music; then you’re dealing with students who practice instruments; and finally you’re dealing with the professional musical people. And even within each one of those groups you have people who simply like music, who enjoy listening to music. There are people that when they hear great pieces of music tears come into their eyes and their hair stands on end and they’re an emotional wreck. Each one of those, with whatever distance is between them, occurs in each one of the three levels — musical public, musical student, and musical professional. I have listened to all three of that kind of person over the last ten years, and I have come to the conclusion that almost none of these people want to hear music that isn’t tonal, at least in the farthest reaches. You asked whether the melodies are attractive or not. I ask other people to tell me that or not. 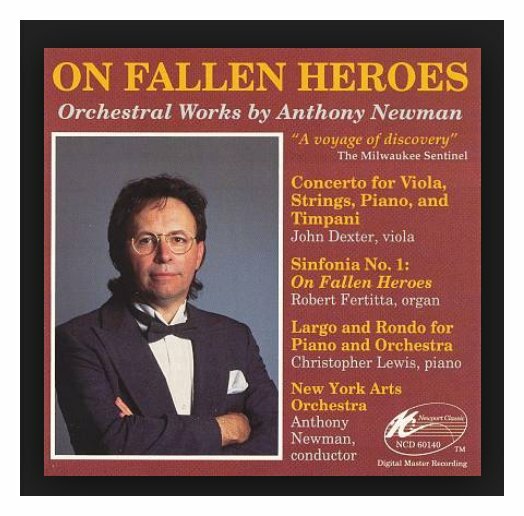 I finished a new piece, my most recent piece, this composition [On Fallen Heroes] for the Milwaukee Symphony and Lukas Foss, and afterword I asked the audience and the orchestra players and the chorus singers what they felt. I was very interested in what they had to say. BD: Was the response positive? AN: Oh, yes. I had a good, very positive response to this particular work. It’s a big piece. It’s only one movement. Actually it’s part of a three-movement symphony, but as usual with new music, you can only play a certain amount of time in a concert. Otherwise nobody will attend the concerts, and probably rightly so. I’m sympathetic with the listener’s point of view, and I think that in this country especially, audiences are frank rather than being polite. In Europe audiences are maybe more polite, but I think atonality is a dead issue in this country. To a certain extent — and this is not to sound savage in any way — its presence is there because of power issues rather than people saying, “Oh, I love that.” In Mozart and Bach’s time you wrote to please whomever employed you, a royalty was most common, or the court or something. But that’s not true of twentieth century music. BD: Who employs Anthony Newman? AN: Whoever employs me to play a concert or to write a composition. That’s my employer. So if they’re happy with what they get, then I feel that I’ve done what is my job to do. Twentieth century music is a difficult situation because it is not a universal aesthetic. It’s not just one way that everybody writes. It has spawned all these little interest groups and power issues where people have created a certain kind of music and they say, “Well, here it is. This is what it is. This is what music is and you better like it because we’re in power and this is what it is.” That’s very unfortunate, and perhaps an oversimplification of what the actual process was, because there were many gifted people who turned to what they thought must be it, because this is how people are writing. In a way, I think the reaction to cerebral music is minimalism, which was an aesthetic that is adopted only by a certain amount of people. It’s not in any way universal, but it’s interesting that such a radical point of departure could have occurred, considering how different it is from cerebral atonalism. It’s interesting. I see minimalism as a struggle point. It’s still struggling to find a worthy aesthetic. 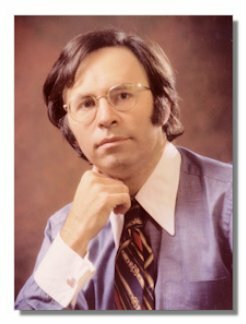 The worthy aesthetic question will be answered by the next great personality that occurs as a composer, because whoever that person is, whatever he or she writes, will be the aesthetic leader. BD: Do we know yet who that is? AN: No, but it will happen very soon. BD: Are there some candidates around, or is it someone who is completely unknown? AN: I think it’s someone we don’t know. BD: Will there be general rejoicing, or will it take a while for everyone to realize it? BD: Then what, for you, is music? AN: Wow. Obviously music is to some extent an abstraction in that you cannot relate it to, for example, literature, where you say, “Hamlet said such-and-such and therefore it relates to something that happened to me in my life.” It’s more abstract than that. I think music is more a way of denoting and connoting emotions and states of the soul, and the people that have been most successful were able to reach the higher vibrations of humanity. By that I mean the things that are more noble in the soul and in the mind, and in the emotions, too. BD: Do you write your music, then, to be high and noble? AN: I would say I write music towards that direction. I wouldn’t say that I write music just to be utilitarian, or as they say in German, gebrauchsmusik. I write it so that I feel some vibrational energy is raised, and if I feel that a composition that I’ve started, or a motif or an idea is not worthy, then I throw it away. Other people would say, “Oh, you shouldn’t do that. It’s another way of expressing something.” But I tend to throw it away. BD: It doesn’t, perhaps, pop up again later on in another form out of your subconscious? AN: It can. I sketch things a lot. I have a lot of sketches, so if I throw something away the original sketch is there someplace. Occasionally I’ll bump into it again and get a better idea. A certain compositional type sketches and develops, like Beethoven was a sketcher and developed. Mozart and Bach wrote pretty much whatever occurred to them. They had to write very quickly, also. AN: That’s right. Handel also wrote that way. BD: So, you do more sketches and development? BD: How do you know when it is developed to the point that it should be put into the right form? AN: When it starts to have that higher vibrational effect on me. BD: Have you basically been pleased with the performances you’ve heard of your music? AN: Yes. I thought the Milwaukee performance was very fine. BD: Of course, you are the performer in a number of your pieces. AN: Yes I am, in solo pieces. I have a new piano concerto that’s being done in San Diego in January, and I’ll be playing piano solo in that. BD: Are you the ideal interpreter of your music? AN: There are probably more ideal interpreters of my music than myself, but I haven’t found them yet because I’m not quite known as a composer the same way I am as a player of Bach and old music. That’s where I’m known, basically. BD: Are you trying to shake that image, or are you trying to have two parallel images? AN: Ideally I’d like to have two parallel images, but I’m a poor promoter of my own stuff. I have an agent, a manager that promotes concerts in general, but as far as my promoting what I do myself, I’m very poor at that. I tend just to write music, and if someone says, “I need a piece for such-and-such so would you write a piece?” I would say, “Oh yes, sure. I’ll write you a piece.” But I’m not the kind of person who would go on and solicit a piece. BD: Are most of the pieces on commission, or are they just things you have to write? AN: I would say half and half. The orchestra piece was a commissioned work. There the vast expense involved in copying a composition is what you have to have somebody help you with. BD: When you get commissions, do you always accept them or are there some that you might turn down or, perhaps, postpone? AN: I’ve turned down one or two commissions, but if they’re for serious things like a string quartet or a work for piano, I’ll always accept that, figuring that if for some reason it doesn’t work out I still have the piece. BD: Are you a better performer because you are also a composer? AN: Oh definitely. I’m a more interesting performer; I don’t know whether I’m a better performer. On the negative side, people would say that I find too much to bring out of the music. It’s a possible criticism, but I think I’m a performer that hears, in a composer’s way, the piece that I’m playing. BD: Let me turn the question around. Are you a better composer because you are also a performer? AN: Only in this way that I realize what I’ve written has to be played. [Both laugh] I’m very careful in my composing not to write in a experimental way for instruments, in which way I don’t know whether they’ll work or not. I tend to not do that. BD: So you’re more pragmatic? AN: I’m pragmatic for the most part. BD: That doesn’t inhibit you in any way does it? AN: Not at all. When I write for myself, either for solo piano or organ, it tends to be more difficult than I would for like an orchestral ensemble or string quartet. In a recent quartet I asked the players if certain double stops were playable. I always do that. BD: Rather than just hearing something in your ear and expecting it to sound? AN: Absolutely because it’s unreasonable to ask. But you see everybody who’s playing new music is struggling anyway, just trying to get the aesthetic of the pieces written in. That’s already a major effort, and if you find a group of people are struggling, and then on top of that they have what they see as insurmountable difficulties from the score, it’s unfair to them. So I don’t like to have insurmountable difficulties. I change things right away if they say, “This is very hard to play.” Then I just change it. BD: Let me play devil’s advocate for a minute. The Rite of Spring couldn’t be played at first, and now high school orchestras play it every day. AN: Right, high school orchestras play it, but I’ll bet if you asked Stravinsky about the Rite of Spring and those sorts of pieces, he would ask players about things, too. He was a funny man about saying those sorts of things, but I know from one person, Rafael Druian, who said that he had often spoken about things in his Violin Concerto, and that he said he would change things if they were impractical. Rafael Druian was born in Vologda, Russia 250 km east of St. Petersburg (then Petrograd) on January 20, 1922. With the upheaval of the Revolution, Druian's family emigrated to Havana, Cuba when Rafael was an infant. In 1930, Rafael began studies with the Paris-born Cuban composer Amadeo Roldán (1900-1939), concertmaster and later conductor of the Havana Philharmonic. In about 1933, Rafael was admitted to the Curtis Institute in Philadelphia where he remained until his graduation in the Class of 1942. When he served in the US Army during World War II, Druian played the mellophone (a 3 valved horn) in the Army band. Following the war he was concertmaster of the Dallas Symphony from 1947-1949 under Antal Dorati. Druian followed Dorati to the Minneapolis Symphony in 1949 when Dorati became Music Director. Druian remained in Minneapolis as Concertmaster from 1949-1960, the same as Dorati's tenure there. 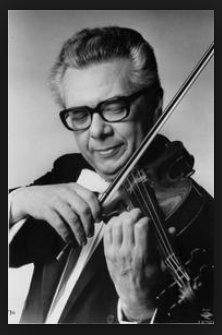 In 1960, George Szell appointed Druian to succeed Josef Gingold as concertmaster of the Cleveland Orchestra, where he served for nine seasons. After Cleveland, Druian taught at the California Institute of the Arts in Valencia. He returned to orchestral life, being appointed concertmaster of the New York Philharmonic by Pierre Boulez from 1971-1974. Druian then pursued conducting, including festivals in New York and Alaska. He also continued teaching conducting and violin at Boston University and at his alma mater, the Curtis Institute. Rafael Druian died in Philadelphia on Sept. 6, 2002, age 80. AN: But with an orchestra piece you’re given an hour or an hour and a half to rehearse it, and no orchestra that I know of has that kind of enthusiasm to take the piece home and work on it, especially if it’s a foreign piece that they think will only be heard once. BD: Not even the American Composers Orchestra, or a specialty group like that? AN: Well, they might. I had a piece done once with them. They were very friendly and helpful, but considering what orchestral players have to do, it’s a lot to ask them to take things home for any lengthy amount of time. Maybe it’s written too difficult, or it’s too hard. One of the players in the Milwaukee Orchestra said, “This passage is very awkward,” so I said, “How about if you do this instead?” and they said, “That makes it much easier.” Well, that’s fine. BD: So you are more interested in larger shapes and larger ideas, rather than little tiny details? AN: Yes, because there’s always a way around the little tiny details. BD: What about someone listening to this interview a hundred years from now who decides that something really isn’t playable and they want to make the changes. Do they have your permission to alter it a little bit? BD: And you feel the same way? AN: Oh definitely. Usually what ends up being changed is not the melodies. It’s usually passage work. BD: But every little note has its own moment, and you’ve put in all these details for some reason, haven’t you? AN: Definitely, but for example with repetitions or octaves, you can change them around to yield another thing which works reasonably well. There are lots of moments in Beethoven quartets where you have to make alternates to what’s actually written there — where the chords are so high, especially in the cello parts in the late quartets. BD: You don’t want them playing way up near the bridge? AN: That’s right, always on the fourth string and up in the stratosphere. BD: When you’re writing a piece of music, are you always in control of that pencil, or are there times when that pencil controls your hand? AN: That’s like asking whether your higher powers are working with you or not. I feel that I often ask higher vibrations what the answer is. BD: Is there a spiritual quality to your music? AN: Oh definitely. I rely on that kind of transmission for my own music, as far as what I think of as inspiration. People that are musical have musical guides or spirits, and they simply give you themes and inspirations. Say this piece is too long or this section’s too high or it’s too loud. BD: How do you know when to put the pencil down when you’ve reached the end of the piece? AN: I fit the form in advance. I pre-set the form. I use mainly triangle forms, where there’s three sections, and the sections are either balanced, or the outer sections are balanced and the inner section’s imbalanced by a triangle. It was the favorite form that worked within the classical sonata and symphony, and the Bach fugue. BD: So you know when you come to the end because that’s the edge of your canvas? BD: Is it a visual kind of thing, or is it completely aural? AN: It’s visual in the sense that it’s mathematical. As a visual, no. It is mental, cerebral. The mathematics is planned out as far as the size, but I wouldn’t say it’s like shackles or anything like that. It just says that in this section there should be 162 counts, and the next section should have 142 counts, and the final section should have again 162 counts. BD: You don’t get to the edge and wish you could push it just a little farther? AN: You can always push slightly. Even Mozart does it. When Mozart writes piano sonatas, he’ll write in ABA form and it’s very balanced. Then he’ll add eight bars of coda. When Beethoven adds a coda, he changes from a triangle to a square or to a four-sided figure, because the codas are so huge. Then you have, instead of ABA, you have ABAC. He invented the larger forms that way. BD: You’ve written, I assume, in most all of the forms? AN: Yes, a large choral work that was done in Minneapolis about seven, eight years ago. BD: Tell me some of the joys and sorrows of writing for the human voice. AN: Since I was a youth I worked in churches and choirs. I’ve had so much work with them that I know what voices can do and what you can’t ask them to do. I’m rather conservative with voices, and if you’re writing in a complex texture it has to be doubled in the orchestra. The only other texture that you can write is this kind of Ligeti glissando where it’s approximate and I generally don’t write it. I tend to not be fond of approximate music. BD: No ‘chance’ involved in yours? BD: Are there ever times when the interpreters find things in your scores that you didn’t know you’d hidden there? AN: Oh yes. In the string quartet there are many places where someone would say, “Do you mean this or do you mean that?” and I didn’t realize that the B possibility was even there. I thought only A was there. That’s always nice when that happens. BD: So then you encourage that extra added thing? BD; But there must be some point that they pull it too far out of shape, so that it’s no longer recognizable. BD: I assume that you are always working on a composition. AN: Pretty much. I’ve finished the outer movements of the Piano Concerto. I have to write the slow movement, which will be very short, so that’s in my mind right now. Usually I’ll have a brief hiatus, and then I’ll start on some new piece; someone will ask me for something. BD: Do you ever work on more than one piece at a time? AN: Yes. I’ve often worked on two pieces at a time. I don’t find that a problem. BD: Why? Because they’re so different? AN: Yes, and they all have their own materials. It takes a little while to get back into the piece if you’ve been away from it for a bit of time. BD: Are you one of these fast workers who gets it all done quickly? AN: I work pretty fast. Some pieces I’ve written in a single day, for instance the work for flute that’s on the recording of chamber music. BD: Oh, the Flute Quartet? AN: That’s right. That was written in one day, in about six hours of feverish writing. And an organ piece, which I just recently finished, was written in two hours. That is a five-minute piece. BD: You brought up the idea of recordings. Are you pleased with the recordings that have been issued of your music? AN: You mean the quality of them? BD: Yes, and the performance. AN: Yes. I’m very happy with the recordings. I think the Viola Concerto and the String Symphony are wonderful recordings, and the chamber music I think is very faithfully done. BD: When you’re playing a work that you have written, are there ever times when Anthony Newman the pianist or the organist, gets mad at Anthony Newman the composer, and says, “Boy, I wish that guy had done this or that instead of what he did”? AN: Oh, yes! I’m always changing things, even things that are published. It’s a terrible problem I have. Someone’s going to play it and I’ll say, “Oh, no, no, wait. Let me send you my own copy that has these corrections.” I’m just an impossible dabbler in changes. I always think this might sound a little better. BD: Does your publisher get mad at that? BD: Then someone will listen to it with a score and think there are mistakes. AN: It’s not usually so dramatic. BD: Are there ever times that you go back and completely revise a score? AN: Yes. I did because I was influenced by that school I’ve been talking about, especially when I was in my late twenties and early thirties. I would say in three or four large works I changed almost every note. I kept the rhythm, so the idea of the piece was the same but they weren’t tonalized properly. These were the organ work, the work for chorus, and a piano piece. BD: So there are some early works that you’ve disowned? BD: What happens when you hear performances of those? BD: But you have really no control over a piece once it has been published and is out there. AN: Well, that’s true, but as I say, most of that kind of music has not become fashionable, did not survive, and has not become common repertoire. I feel that’s the judgment of history. It’s had its time and its length of time, but it will have to sit there for another fifty years just as it sat there for seventy years. This is not my own music, but the style hasn’t survived. BD: So you really think that atonality is dead? AN: I do. I think it’s dead, but it’s still in turmoil. Some people uphold it and say, “This is what new music is,” and then, of course, it’s academic. It’s within the confines of universities, and when it’s that, then it’s involved with power issues. BD: What advice do you have for younger composers coming along? AN: Write only what they like, and not write music they feel they’re pushed into writing. BD: How can the mind on such young shoulders know what it wants so early? AN: Well, it usually knows what it likes, but it may not know what it wants. When they start writing and experimenting, if they seem to yield something that’s personalized — and especially if other people like it, too, which is a very important consideration — you’ve got something. BD: Are you pleased with some of the other new music that you hear? AN: There are people that have tried to keep a balance of heart and mind in music. To some extent, Messiaen has. I tend to think his earlier music will survive better than his later music. Of the more experimental school, I guess of the people I’ve heard, some of Berio’s music has that quality sometimes. [Pauses a moment] Composers get together and decide what music should be, and if there’s some kind of money or power behind it, it has a clique. Then the clique has students and the students have parents or friends, and there’s an audience all of a sudden, and the whole thing’s going. But it really isn’t. It’s all just started by this little group that makes decisions about what music should be. That’s a dangerous thing that has certainly happened. BD: So the incestuous audience, then, doesn’t last, but the general audience does? BD: I want to talk a little bit about your playing. You have to play on all kinds of different instruments, especially organs. You can’t travel with one, but pianos and harpsichords you can travel with. AN: Well, it’s very hard to travel with harpsichords. I never travel with them unless it’s a short distance. BD: You just rely on what the venues have? BD: [With a gentle nudge] That must produce a few horrors. AN: [Smiles] Oh, yes! Yes. Many, many, many horror stories! BD: Are you your own technician? AN: No. I can adjust simple things in harpsichords, but it takes quite a bit of energy to do that, and I’ve got to play the concert. So it should be adjusted already. BD: Do you find now that we’re getting into all of this, that the quality of the instrument or the maintenance of the instrument has been getting better over the years? AN: Yes. Oh, definitely! There was a time when really you would have taken your life in your hands traveling around the country with a harpsichord recital, but I don’t think that’s true now. You get reasonable instruments. They’re not at the level that pianos are, as far as the state of perfection, but the instrument is basically not in a state of perfection as is a modern piano, which been perfected for two hundred years. It’s in so much demand and so much demand to be stable, to repeat well, to survive weather changes, so it’s all developed into this other thing. But harpsichords are just copies of what instruments were at that time, so they were developed not to be that way. They were simply developed to sound beautiful — which is great — but it doesn’t mean that they’re very sturdy, necessarily. BD: Are you part of this whole original instrument movement because you play harpsichord, or do you sort of skirt the issue? AN: I’m certainly involved with it. I did the Beethoven piano concerto cycle with period instruments, and I tend to use whatever instrument was written for a particular time. I hope to conduct some Schumann symphonies, and I’ll use the instrument style of that period, which actually is valve trumpets. The orchestra did use valve trumpets and I think valved horns, but the string sound was much more like the Beethoven-Schubert style of the string sound, which is not our modern sound at all. BD: You don’t think that Beethoven would have jumped at the chance to have his concerti played on the modern Baldwin or Steinway? AN: No. He would have written differently for the piano. BD: What do you say to the world famous pianist who goes around playing them on the Baldwin or Steinway? AN: Oh, it’s just fine! Musical playing sounds wonderful on anything. My interest is in hearing it as it sounded then in its best way, in other words without wrong notes and without things out of tune. It’s very interesting to hear that, because then you can adopt tempos of that period and the kinds of sforzandos, especially in the Beethovens, were very fierce. They’re all tempered now with modern playing. BD: So if someone who’s playing your music a hundred years from now when they have better instruments, do you still want it played on the old instruments? AN: I couldn’t say that for sure unless I would see what the new instruments were! BD: Instruments are always developing. BD: I hope we’re not going to stop dead still. BD: If a synthesizer could recreate the sound that you wanted, do you want a synthesizer used, or would you rather have all the instruments used? AN: Well, I know that the synthesizer can make the sound, so I think that’s fine. BD: Are we really concentrating on the sound or the aesthetic? AN: Well, the sound is the aesthetic. It’s the same way around. How you get the sound doesn’t matter so much to me. Take electronic organs. There was one time when they just sounded just terrible! Now they’re sounding much better. Sometimes they sound actually much better than pipe organs that I’ve had experience playing. BD: Because they don’t go out of tune. BD: Thinking about an organ recital, when you arrive in a new city, how long does it take you to get used to the instrument, to understand it and figure out your registration on it? AN: If it’s a big instrument it takes a full five or six hours to figure it out, and to learn how to get it to sound as well as it can sound. BD: Are you trying to get it to sound as well as it can sound, or as well as you can make it sound? AN: How well it can sound is a theoretical question, given the way a person plays. You think about the way you play and how this instrument can resonate. Saying it best takes a while to figure out, especially the softer pieces. The big pieces have pretty much one way of sounding on an organ, because as the organ gets louder, it has only one way of getting louder, for the most part. BD: Just by adding ranks. AN: That’s right, and there are only a certain amount of big stops. But when it gets small, there are many ways you can get small. BD: Does every new instrument that you play produce new ideas and new ways of registering old pieces? AN: Oh, definitely! I always get new ideas from instruments. BD: Does that cause you to rethink the whole piece, or just rethink the ideas of how to present the piece? AN: How to present the piece. BD: Have you played all the Bach and Handel you think you’re going to play, or are you constantly adding more and more new pieces? AN: I’ve played pretty much all that I’m going to play. I play pretty much all of the organ music and the major bulk of the harpsichord pieces, and I don’t think I’m going to do more than that. There are a few of the harpsichord pieces that I don’t really play. I don’t really play the English Suites or the French Suites, although they’re beautiful pieces. I might record them, but you stretch yourself in public. There was a time when people played many fewer recitals. There is a style of playing. There’s a player. There’s a player that can play eight or ten recitals in a season — really all their repertoire is basically what it is — and then there’s the style of player that really plays one recital a season. I’m the kind of player that plays the eight or ten, if not ten or twenty different concerts now. For Baroque music I use sheet music because I ornament and rely on accents and changes for registration. So I don’t have to memorize everything that I play, which is an easier way of presenting music. It doesn’t mean you can know it any less well. So I tend to be a little stretched as far as the repertoire, plus I play three instruments. BD: Are there concerts that you play all three instruments in the same concert? AN: It has happened, yes. BD: Is that something that is really interesting to do? AN: No. It’s a terrifying experience, and the first moment of transition is very uncomfortable. BD: So it’s really a gimmick, then, to play three instruments? AN: I don’t see why you should do it. I think you should just play one instrument, because then you warm up more and more towards the instrument. But a lot of people like to have organ and harpsichord; the harpsichord the first half and the organ second half. AN: They feel it sells better. That’s really what it comes down to. BD: [Laughs] Two for the price of one! AN: Yes. People think they’re getting more for their money. To have a change of sound is always interesting. It’s just up to the performer to manage it. AN: No, composing is not fun. Composing is one of those processes that is a necessity. If you didn’t have it, you would never do it. If you didn’t feel it was necessary for you to compose as part of your working out of whatever your life situation is, you would never do it because it’s arduous and it has one tremendous drawback — you don’t hear the music in the time it actually occurs. You’re writing it hundreds of times slower, and therefore it has that tediousness of struggling on one page of a big score. You feel around with six bars, and score six bars in three hours, and it’ll go by in sixteen seconds. BD: But I assume it must be worth it at the end. AN: It’s worth it in the sense that what was for the moment is now out, and you’ve learned whatever it is that you were to learn from it. Hopefully someone will like to hear it, and then you’re on to the next thing. It’s always this continuous thing. That’s the thing about composing, it is never static. Once it’s written, then it seems superfluous to the composer. Beethoven always used to say about his early pieces that he wished he could destroy them all. BD: You don’t want to destroy your early good pieces, do you? AN: No, but I have no interest in them. In a way, once you’ve finished the piece and you’ve heard it, you start to lose interest in it no matter what it is, even if you thought at that time it is my best piece. BD: But you hope the public doesn’t lose interest in it! AN: The public will lose interest in it depending on what its worth is. If it’s a worthy piece, maybe it’ll be heard a little bit. It’s just hard to say about the music. The fundamental issue is that there’s no established aesthetic, so there’s nothing that people already have heard as they’re about to hear your piece. They’ll say, “Yes, that’s blah-blah-blah,” or they hear [sings a melody] and they’ll say, “Oh, that’s nice. That sounds like Haydn, or Wagner, or Brahms.” They’re already struggling just to figure out what it is that the composer is trying to tell them. That’s why composers are always explaining their music. BD: Do you write copious program notes? AN: No. Very little. I figure if the music doesn’t make it, the notes certainly aren’t going to make it. Why bore everybody with long, turgid notes that are just telling you that the piece is no good? BD: You will be fifty in about a year-and-a-half. Any observations on closing in on the big 5-0? AN: I don’t know whether that birthday is significant in that way to me, but as you grow older your experiments yield something that is rich in their outcome. Not that you stop experimenting, but rather than being constantly experimenting, you find some fruits from the experiments which will bear some richness. I came to the composing a little later in life. I’d composed as a student in my twenties, and then I just gave up with the kind of new music that I was hearing. I just thought there’s no way I can associate with this, and I started writing seriously again when I was thirty-five. So it’s not like I’ve been writing constantly. BD: But now you write continually? AN: Now I write continually, yes. I think this change is going on now. I think it’s possible to do this. BD: So we can look forward to lots more pieces coming from your pen? AN: I hope you can look forward to them. I hope that’s what you feel. I appreciate that you say that. I don’t know if I can say that as I look forward, but if others look forward, then I guess I’ll keep writing. BD: Good. Thank you very much for staying up late tonight. AN: Oh, it was my pleasure. This conversation was recorded at his hotel near the Ravinia Festival on October 20, 1989. Portions were broadcast on WNIB in 1996. This transcription was made in 2014, and posted on this website at that time.